Let our professional virtual tour photographers manage your digital marketing and virtual tour needs. Net Visual Tours based out of Austin, TX creates high resolution virtual tours for real estate and businesses. We also offer many other powerful property marketing tools and services that help local business owners as well as Central Texas real estate agents market themselves online. RTV understands that building your Austin virtual tours, achieving maximum exposure, and online digital marketing does take real time and is not for everyone. That’s why we have built up the largest virtual tour provider network in the World and have a representative in the Austin region to help you out. We guarantee full coverage in your area and you can find detailed information about your virtual tour provider below. If you prefer to shoot your own Austin Texas virtual tours with our virtual tour software you can contact your virtual tour provider below and they will provide details about that option as well. Please allow me to introduce myself on behalf of Net Visual Tour’s, Austin Texas property marketing expert. 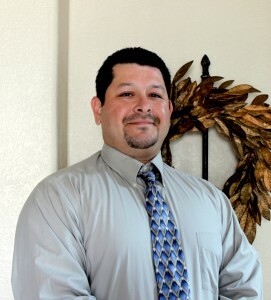 My name is Daniel Rodriguez, owner of Net Visual Tours. Net Visual Tours is an Austin Texas Virtual Tour company proudly serving the greater Austin & San Antonio, TX area. We provide professional, high quality Interactive Photography for Commercial and Residential properties. Net Visual Tours is dedicated to client satisfaction, fast turnaround and personable customer service. We are proud and passionate regarding every virtual tour and place high attention to detail & quality to our work. We can showcase your Real Estate, Commercial Property, Apartments, or Commercial Showroom at its best 24/7. Over 85% of online shoppers are researching prospect homes and researching business representation. Make your presentation count, turn prospects into clients! Whether you need a professional Virtual Tour, professional still photos or an amazing slide show, Net Visual Tours can customize and market your project for success! Net Visual Tours is proud the be a member of Real Tour Vision, the #1 ranking virtual tour company and software provider in the World. I provide the highest quality virtual tours on the market that are designed to professionally distinguish your listing or local business at its very best by specializing in HD 360 Virtual Tour Photography. With the power of today’s technology combined with our attention to detail & quality, we offer a very competitive – or I can even go as far as saying the best valued Austin Texas Virtual Tours. In this challenging real estate market, the proper presentation of listings it is crucial… set yourself apart by presenting a cutting edge, authentic view of your property or business. Net Visual Tours can market various industries including but not limited to golf courses, Hotels, Resorts, Boat Rentals, Medical Offices and much more! If you have a unique project request, please do not hesitate to contact us directly for a quote! Click here to contact your Austin, Texas Virtual Tour Company!